Uzbekistan can already be proud of its Tashkent Grand Prix. For this sixth edition, the contract is already filled and the success is at the rendezvous, since beyond the perfect organization that has been prevailing for a few days already, on the occasion of the second day of competition, the host delegation won their first gold medal thanks to Khikmatillokh TURAEV who won in -73kg, after the two silver medals of the first day. 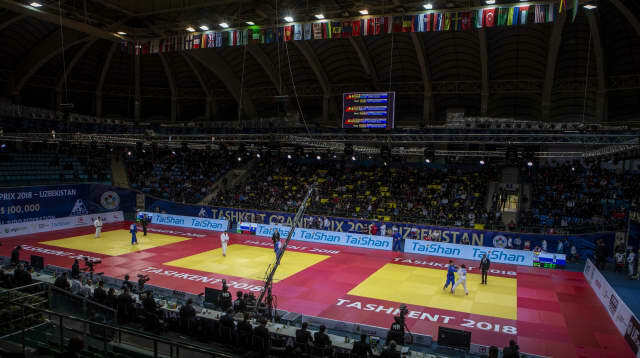 It is a fact, the one who was on the tatami and who sweated heavily throughout the day was Turaev himself, but he can say a big thank you to the entire Uzbek public, which was acting as one behind its champion, throughout the day and especially in the final. The victory is not stolen, it is even deserved and it emphasizes the importance that judo has in Uzbekistan, thanks to generations of champions who made the reputation of the country on the international sports scene. However, one must emphasize the fair play on the one hand and the great knowledge of judo on the other hand that the Uzbek audience that attends in number the tournament every day, has. In this atmosphere, having the full support of the public was undoubtedly a master asset in the victory of TURAEV who gave everything, just like his opponent, the German Igor Wandtke, in what was the most emotional moment of the day. Congratulations to both athletes, the winner, the loser and the beautiful and warm audience. Technical Analysis by Loretta Cusack-Doyle At the end of the day, Loretta Cusack-Doyle shared her impressions on the competition so far. “It was a tough day at the office: my overall feeling was that throughout the competition many of the athletes struggled with their form and had to rely on their battling skills to achieve success. Yesterday we had a lot of positive scoring, and a lot of entertaining Judo. However, today we could see a lot more tactical encounters, more caution, more defensive attitudes prevailing, and so it was less exciting for the judo spectator, but understandable given where we are in the cycle of Olympic selection. It was evident that many athletes are thinking hard about their judo and don’t want to make mistakes that will punish their progress towards selection for their respective Olympic Teams. So we could see a lot of what I call, “game planning”. This is not a bad thing – it is a positive thing to do, to want to change and improve their techniques building toward the Olympics, but during a period of change the athletes will be reluctant to open themselves up for counter-attack. If you look at the starting list this morning, it is my view that many favourites found themselves defeated because they were not fully ready for those battles, when departing from their favoured techniques. 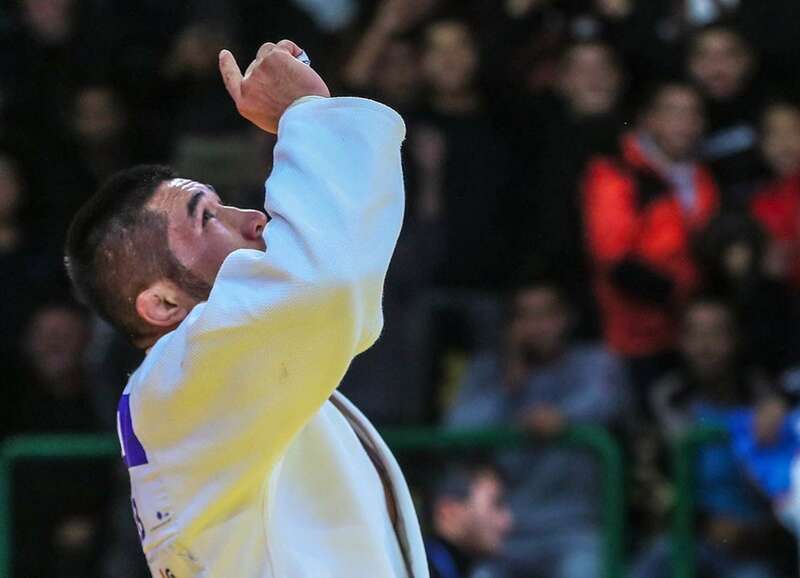 This is what makes Judo such an exciting sport – the unexpected; it shows that nothing is written in tablets of stone and the underdog in any competition always has a chance of that surprise win. "I watch a lot of Judo in my job and I’m excited when commentating on skilled judokas such as Andreja LESKI (SLO). However, despite being the top seeded athlete, she didn’t reach the final. The same happened to Elvismar RODRIGUEZ (VEN), who is an athlete I also enjoy following, and for me among the favorites, even if unseeded – but again things didn’t quite go to plan for her today. These are two examples of athletes I greatly admire, that serve to illustrate a phenomenon that was occurring with many, that they were being out powered, out gripped and taken by surprise by lesser known athletes. It is exciting to see these athletes come through and get these unexpected wins and augurs well for the future that we may see some new names emerge with new-found confidence and continue winning. "Another example is UNGVARI Attila in the men's -81kg division. We all know the quality of his judo, his o-uchi-gari, and his ne-waza transition. But today, no, he was not capable of producing that and he was not in the capacity to deliver the judo he knows so well. How? Probably because his opponents found solutions against him. It means that even the best athletes have to adapt permanently in order to perform. "Perhaps I can suggest that it appeared that some of those favorites today - instead of playing their judo - tried to play another game, and it may not have worked for them, on this occasion. When the competition moved on to the middleweight division, we often see Judo that is faster, more athletic and dynamic. Today the play was a lot tighter and more cautious, but it was definitely interesting for the Judo purist and it gives good indication of good times for the future as they better develop their new skills and techniques. "I noticed many counter attacks that were produced on a soft base, like if everything was going slow-motion, but still it was scoring. The most popular techniques of the day, at least on the tatami that I could follow, were tai-otoshi, o-soto-gari, ko-soto-gari and we saw quite a few juji-gatame (arm-locks), which were very interesting. But we didn't observe that much effective shime-waza. "Yesterday, as I said, we had a really dynamic transition to the ground. Today was a bit slower, and therefore less productive. I have noticed a recurring theme that coaches will want to concentrate on with their athletes – that being that on several occasions, a missed sutemi-waza led to an immobilisation as the athlete who executed the first technique was lacking control. This is something to work hard on to perfect. It always feels bad for athletes when they lose a match so unnecessarily like that, through basic errors. "I was immensely impressed today by the young generation just coming out of the juniors, sometimes still junior. They are tigers…. not afraid of who they are facing. They just go for it! This is a really positive outlook for the upcoming months and years seeing our youngsters coming through with such strong temperaments. We are in an Olympic qualification period. A Grand Prix or a Grand Slam is more than just an event and all athletes understand it, but they must control their nerves and stress and remain positive. Loretta Cusack-Doyle: Loretta Cusack-Doyle is an 8th Dan and has been actively involved in judo for over 40 years, 17 of which as an international athlete and member of the GB team. She is twice in a former World Champion in 1992 and 19**, plus double European Champion in 1983 and 1993. She was the UK National cadet and junior GB coach for 12 years. In addition to being a non-Executive Director of the British Judo Association elected by the Clubs and membership, Loretta is a member of the IJF Coaching and Education Commission and a Member of the IJF Live Streaming Team.She was also an Athlete Service Manager for London 2012 and a Technical Operations Manager for Glasgow 2014.